Rent villas and apartments in Krvavica, Croatia with private pools. Book affordable holiday rentals that are near a beach. This 2 bedroom villa is located in Krvavica and sleeps 5 people. It has WiFi, barbeque facilities and parking nearby. These holiday apartments (CDE547-548) are located on the second floor of a private residence in the small village Krvavica, between Makarska and Baska Voda in 5 km distance. 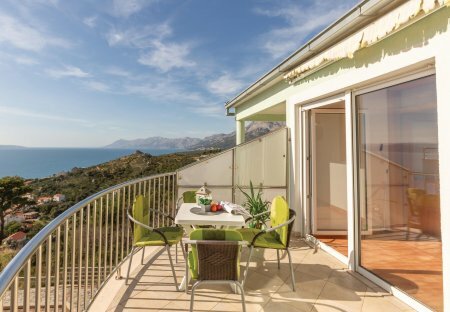 These simple and pleasant furnished holiday apartments are located in a family house in the small village of Krvavica on the popular Makarska Riviera. 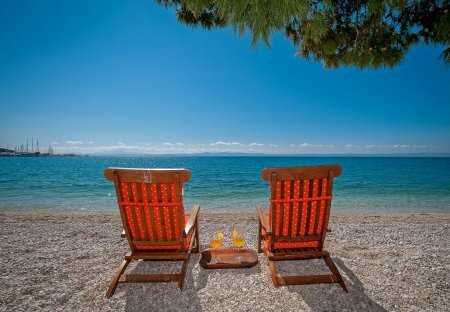 Spend your holiday in the small place Krvavica on the famous Makarska Riviera. This functionally furnished holiday apartment has its own entrance and therefore a bit more privacy. The position of Villa Stina is unique, it has a breathtaking view of mountain Biokovo, privacy, heated swimming pool. We can accommodate 8 persons and you can make unforgettable memories here.